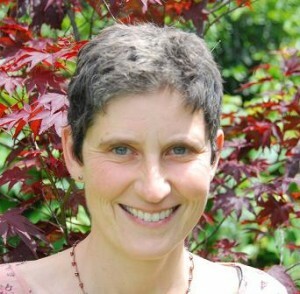 It is with great sadness that I record the death of New Zealand poet, Sarah Broom, who died last Thursday, 18 April, after a prelonged illness with lung cancer. My first encounter with Sarah was through her poetry, when I read and loved her first collection, Tigers at Awhitu (Auckland Universty Press, NZ; Carcanet, UK) in 2010. We never met in person, but did correspond via email when her health allowed—and of course, there was always the poetry. For me, Tigers at Awhitu was the outstanding poetry collection of 2010 and I believe her death leaves a considerable gap in the New Zealand poetry community. To read the poem and my commentary in full, please click here, on All My Life. “Keep Moving was written when I was heavily pregnant and also already ill with lung cancer, though I didn’t know the latter at the time. I did know that it was inordinately difficult to move! Looking back at it, the poem has gathered more and more weight for me, and in my book it is placed as the final poem in the first section of the book; the poems in the second section were all written after my diagnosis. The ‘razor pass through the mountains’ has something to do with the path I have had to traverse since then. and knotted like kumara roots. 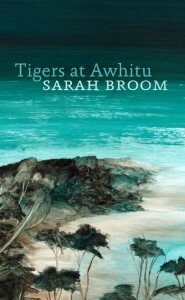 To discover Sarah’s work for yourself, please seek out a copy of Tigers at Awhitu. Her second collection, Gleam, will also be published by AUP in July this year. My deeply felt condolences to Sarah’s husband, Michael, and her three children—no matter the gap left in New Zelanad poetry, theirs is the greater loss. 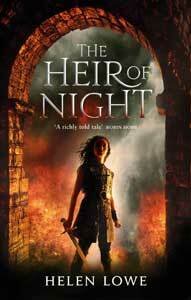 Haere ra, Sarah: haere ra, haere ra, haere ra. Thank you for responding, Mary. Ah, Helen, it’s with such sadness (and awe) that we re-read “All my life” at the Tuesday Poem hub, and with such a mixture of emotion that we remember this poet. There’s a lot of life force in her poetry… thanks for sharing more here again this morning. I am glad to see the excerpt here from Keep Moving. What a good thing to read, and how remarkably insightful and surprising, the idea of the “razor pass through the mountains”. Hi Michelle, Sarah was a wonderful poet and I really wanted to acknowledge both her contribution and her passing today. I am also keen to support Gleam when it comes out in July—the most tangible commitment I can make to honoring Sarah. It was good to see your post on Beatties Bookblog as well, Siobhan. In a few weeks I shall contact AUP re featuring more of her poems ahead of Gleam coming out. Glad you posted this Helen. I’m kicking myself that I didn’t ever contact her directly to say how much I enjoyed her work. I think the two poems from “Tigers” that most stirred me were ‘Snow’ and ‘Rain’ – just perfect. But rereading the collection again in the light of her death, virtually every one of those poems has the sound of tolling bells behind it. But you did do a great review of her work, Jo: I’m sure she got a kick from reading that. Snow has always been one of the standout poems of the collection for me, too, but I will confess to having to re-read Rain–but having done so I agree with you: it is a powerful and stirring poem.